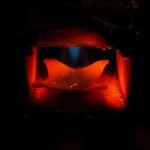 David Robertson has been in the artistic blacksmithing business since 1987. After more than 25 years at the forge David has developed a style that draws heavily on nature for his inspiration. He often incorporates flowers, leaves and branches in his art work. His work has been shown in galleries in Canada and USA and he has pieces in private collections as far away as Germany and Ireland. 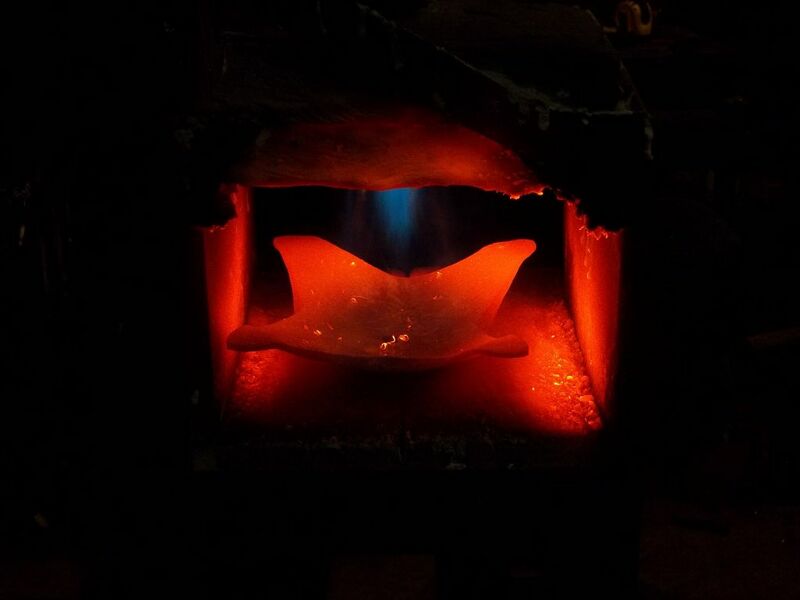 He currently consults with his clients on custom work that uses both traditional blacksmithing skills and modern techniques. Custom work may include furniture, small gates, wall art and sculptures, as well as home accents. David also teaches weekend blacksmith courses, at various levels, throughout the year. 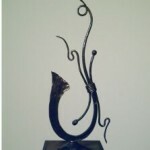 See his website www.ArtistBlacksmith.com for details on pricing, dates and course curriculum. David Robertson offers weekend classes in various levels of blacksmithing at his workshop in Pinkerton, Ontario. Classes are with a maximum of 4 students at a time and range from introductory level to advanced pattern welding and organic forms. 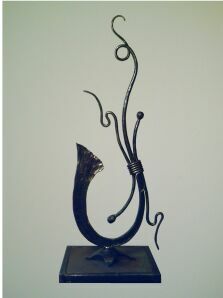 For details on his current course offerings please see his blacksmith courses page on his main website www.ArtistBlacksmith.com. Sculpture base in forge ready for next step.